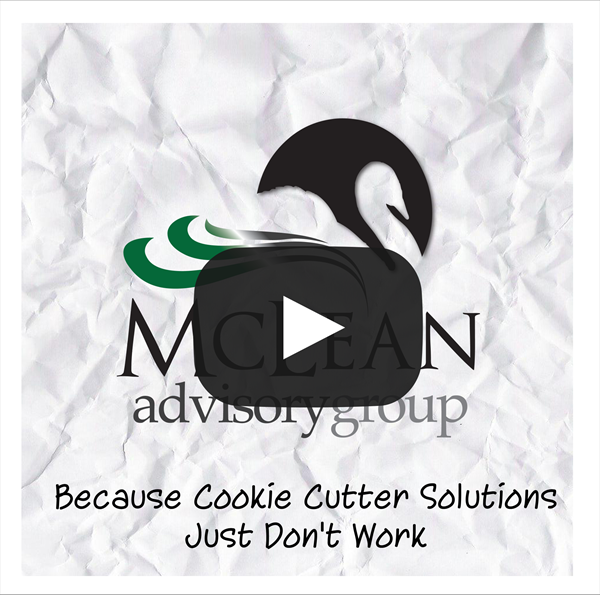 At McLean Advisory Group, we don't believe in a "cookie-cutter" approach. No two situations are alike. We tailor your financial strategies to assist you in achieving your specific lifetime goals and objectives. Once your allocation is completed, we help coordinate your affairs. Our focus is on minimizing income taxes and future death taxes as well as helping to potentially protect you and your assets from health care catastrophes. McLean Tax Advisory Group would be pleased to steer your course toward a lifetime of financial security. Contact us today for details of how we can help you reach for financial goals.